Research collective Synflux has developed a system of digitised couture that reduces the amount of fabric needed to make clothes by creating garments that exactly fit the wearer's body. Called Algorithimic Couture, the project was presented at Design Indaba last month and involves 3D-scanning a body to determine its exact proportions, which are used to create customised clothing. Synflux aims to disrupt the current system employed by the fashion industry, from design to factory production. "The existing linear model created on the premise of mass production and consumption desperately calls for a change," said the creators. "Looking to a more sustainable future, we must reconsider the holistic cycle of fashion." Synflux runs machine-learning algorithms over the data collected to find the optimum garment pattern that reduces fabric waste to zero. The programme then generates optimised fashion pattern modules comprised of 2D rectangles and straight lines. 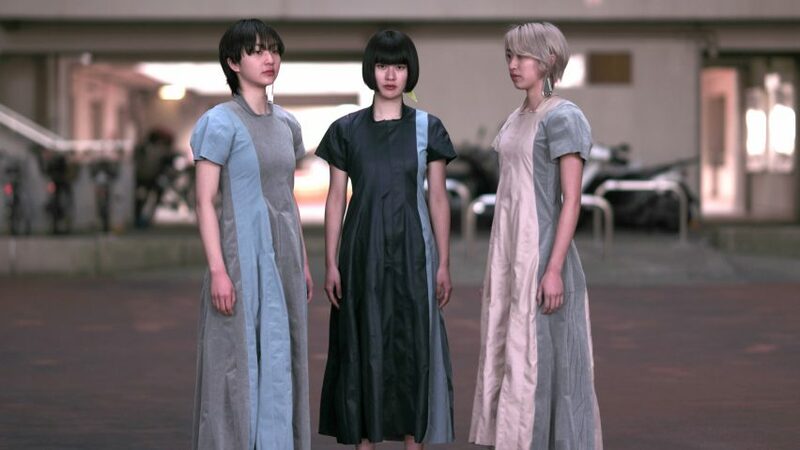 These 2D modules that make up the overall garment are then modelled using computer-aided design (CAD) software to produce a fashion pattern for an item of clothing that is both comfortable and sustainable. "By utilising 3D-scanning technology alongside computer-aided design (CAD) software, we are able to optimise garments to the unique body types of the user, independent from the prêt-a-porter system," design engineer Kye Shimizu told Dezeen. Algorithmic Couture is a collaboration between project lead and fashion designer Kazuya Kawasaki, Shimizu, designer Kotaro Sano and machine learning engineer Yusuke Fujihira, who together make up Synflux. The team found that current methods of designing clothes result in a 15 per cent wastage of fabric, and looked for a solution in the digital world. "Digital innovations have evolved the landscape of fashion. Adverts are aggregated to match our consumption and fashion trends are forecasted utilising our data," said Synflux. "There is a need to realign our incentives to more sustainable values, by looking at how we design in fashion." The standard system of sizing in the fashion industry, not only produces unnecessary waste but also results in an inferior fit for the customer. "A lot of companies subscribe to the model of small, medium and large sizes, and a lot of the times that doesn't work," said Shimizu. Synflux's system also allows the user to customise the shape, fabric and colour of the final garment to reflect their personal style. The idea of a bespoke garment harks back to historic notions of bespoke clothing, but unlike couture, allows the users to take part in the design process. "Algorithmic Couture aims to democratise haute couture customisation culture prevalent in the 19th-century, by revitalising how we fashion our own style through personalisation in the digital design process," said the team. They also hope that it will be widely implemented to reduce waste and energy in the fashion production industry more generally. They are looking to work with major fashion brands to develop the technology. Last year, US start-up Naked Labs launched an at-home 3D body-scanner, with the aim of user's tracking their own health rather than helping make their own clothes.